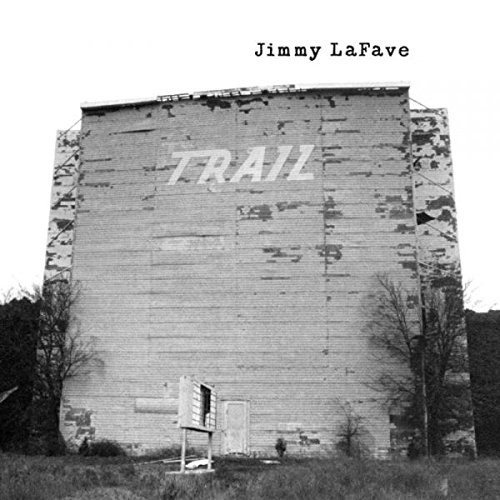 The more I listen to Jimmy LaFave’s music, the more I think the recognition he has received doesn’t come close to being commensurate with his talent. Two releases of vintage material—both arriving shortly after the terrific new The Night Tribe—provide the latest evidence that he is one of the best folk/rock singer/songwriters this side of the Andromeda Galaxy. One of these albums is a reissue of 1999’s two-CD Trail One, the first in the artist’s series of collections of covers-dominated concert and radio performances and studio obscurities. The other is Trail Four, the latest in that series. Curiously absent from both of these packages are any details about the music. You’ll find no musician or songwriter credits, no information about where LaFave recorded the tracks. Also missing are the Dave Marsh liner notes from the original version of Trail One. But you don’t need liner notes to tell you this music is great. LaFave’s favorite writer to cover is Dylan, and if there’s a better Dylan interpreter out there, I don’t know who it is. LaFave offers a dozen of Bob’s songs on Trail One and several more on Trail Four, and in nearly every case, his bluesy, emotion-drenched vocals capture the spirit of the original while adding something fresh. On Trail One, he conveys the venom in the lyrics of “Positively 4th Street” and also the jingle-jangle joy in its music. A captivating “I Threw It All Away” is arguably more mournful than the writer’s original. On Trail One, LaFave also masterfully reimagines such Dylan classics as “It’s All Over Now, Baby Blue,” “ “Just Like Tom Thumb’s Blues,” “Oh, Sister,” “Simple Twist of Fate” and “If Not for You.” Trail Four, meanwhile, includes “She Belongs to Me,” “Chimes of Freedom,” “I’ll Remember You” and “It Takes a Lot to Laugh, It Takes a Train to Cry.” “Chimes” is the one misstep, with LaFave’s vocal buried too deeply in the mix. Dylan isn’t the only writer LaFave taps on these collections. There are also covers of songs by Bruce Springsteen (“Valentine’s Day”), Woody Guthrie (“Oklahoma Hills”} and others, and they are almost uniformly excellent. Particularly revelatory is the reading of Bobby Charles’s “Walking to New Orleans,” which turns Fats Domino’s sweet, woeful pop ballad into a haunting, even sadder tale. There are originals here, too, and they hold up just fine alongside the classics LaFave interprets. “When It Starts to Rain,” one standout, is a touching ode to a lover that seems to come from the same emotional place as Dylan’s “I’ll Remember You.” Another gem is “Loved You Like Rainbows,” a heartache set to music. The albums in the Trail series are reportedly being treated as so-called “legal bootlegs” and are being released with virtually no publicity. Go figure. If I were LaFave’s record label, I’d be shouting from the rooftops about these CDs.